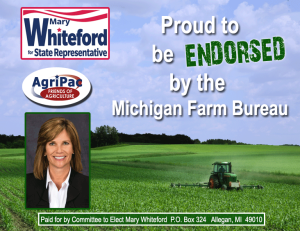 Mary Whiteford is seeking to represent Michigan’s 80th house district, comprising all of Allegan County except Dorr, Leighton and Wayland townships. 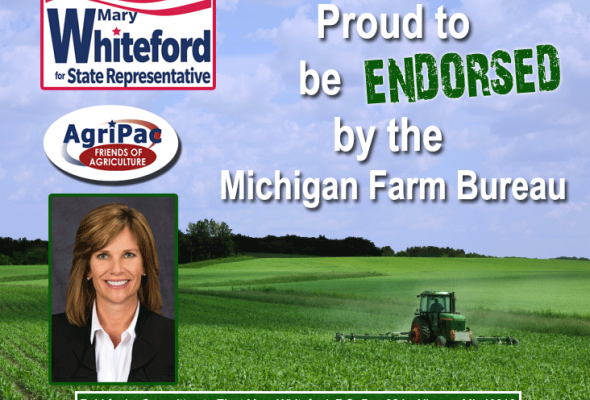 The seat was vacated by the Sept. 11 expulsion of former Rep. Cindy Gamrat. 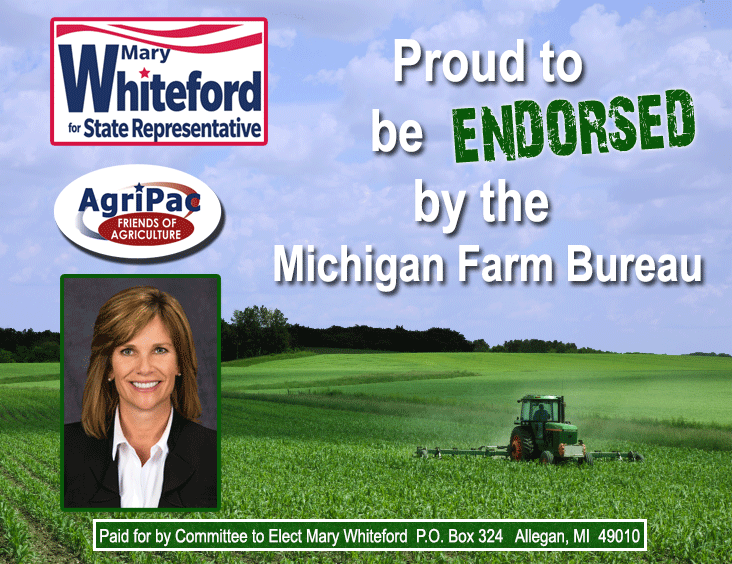 Since 1977, AgriPac has served as Michigan Farm Bureau’s non-partisan voice in the electoral process, endorsing candidates for state and federal offices whose positions align with those of Michigan’s farmers.